I’ve tried many things as I searched on this forum but unfortunately still not able to make it work. Have you any tips to help me make it work well ? More than likely you got one of the ELM327 adapters that are “missing” the parts for the non-CAN (2007 and earlier) protocols. The CAN protocol was required in the US by 2008. I can’t vouch for this but BAFX claims their adapters support all protocols even though others don’t. All of them claim to do that, but I have ordered 4 different adapters (not BAXF) lately and all 4 were missing parts. One of them was the same as yours. About 20 parts were missing from the circuit board. Sorry, but the communication protocols are inside the adapter ELM? Should not be torque that manages the data and the adapter have a bluetooth antenna? Torque only does serial data transfer. The ELM327 chip handles all interfacing protocols and buffering. Torque does have the ability to specify which protocol to use, or to let the ELM327 chip do an auto-search. 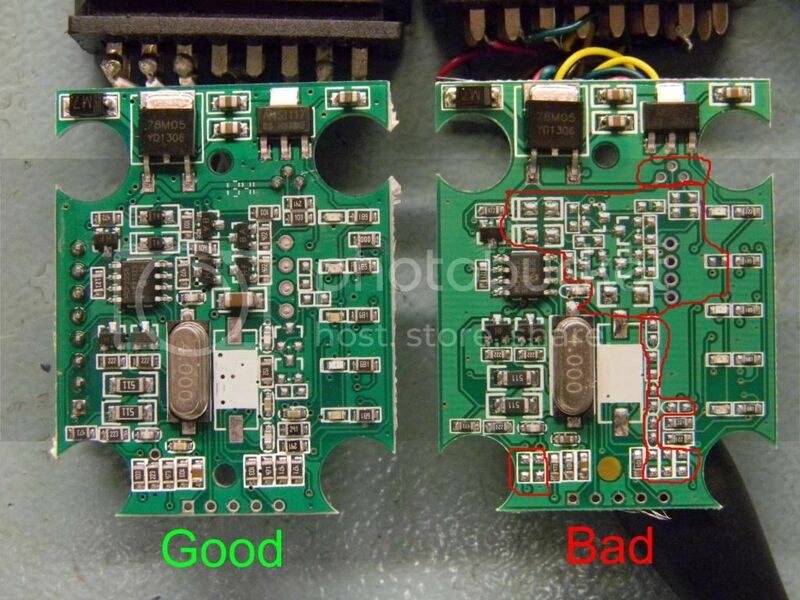 The different protocols generally use different pins on the OBD2 connector. The missing parts would interface to those other pins. So if you can not connect to the control unit of the vehicle could be taken ELM327 that does not have the right protocol? know where and how to understand that an outlet ELM327 is compatible with my vehicle? All ELM327 chips have all 4 protocols. It is only the circuit board, upon which the chip is soldered, that is missing parts. Read my post above about the missing parts. Also, read my post above about the BAFX adapters. Or just buy one from Scantool.net and be safe. Hi, I,ve the almost the same problem. I bought a new phone, reinstalled pro, I’m bluetooth connected but get the message that I’m not connecred to ecu. When I use the free version there’s no problem. Do I have to do something with the version on my old phone ?